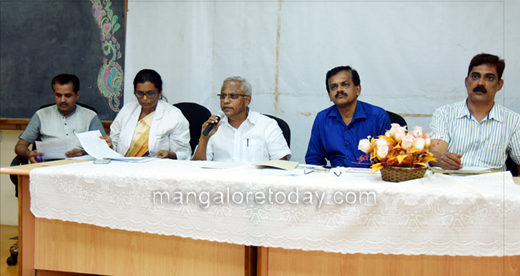 Mangaluru, Mar 10 2018: Briefing media on March 9, Friday, MLA J R Lobo said, second phase of National Pulse Polio programme 2018 will be held on March 11, Sunday, tomorrow. The drops to prevent polio will be administered to children below 5 years of age. 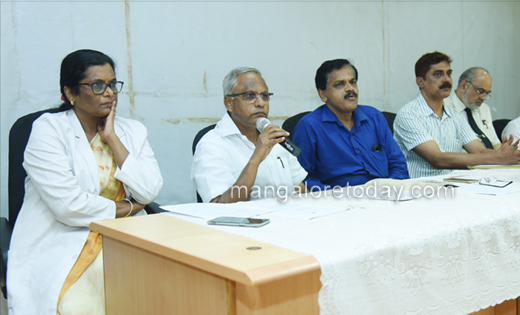 It would be held on all four days in Mangalore City and urban areas and on the first three days in rural areas. A total of 1,59,017 children would be given polio drops at 925 booths. The services of 3,806 vaccinators would be utilised during the drive. A total of 191 supervisors will look into the arrangement. There are nine mobile teams and 26 transit teams to administer the pulse polio drops. The drops will be administered at railway stations, bus stands, airports and marriage halls. He said that 399 high risk areas (construction sites and migrant labourers living areas) have been identified. All measures will be taken to administer drops to children in such areas. Lobo said that though India has been declared free from polio, it cannot afford to drop its guard and must continue with administering the polio drops.